You already know that Jaguar models are premium speed-demons, capable of delivering high-class luxury and thrilling performance in equal measure. But while many performance-oriented vehicles seem designed for the racetrack and nothing else, the Jaguar XF with AWD is capable of tackling far tougher terrain without stumbling. If you’re looking for a sophisticated sedan that can still get dirty, you’ve found it. Why Buy a Jaguar XF with AWD? You might be asking yourself why a premium sedan like the Jaguar XF needs a feature like AWD, and it’s a good question to ask—after all, aren’t Jaguar vehicles all about going fast and looking good? Well, the Jaguar XF has those features locked down, but it’s also built for versatility, so it can handle your ever evolving life. 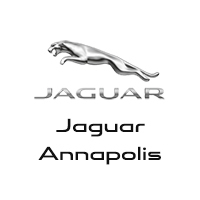 So whether you’re navigating the Washington DC grid or the rainy Baltimore streets, the Jaguar XF with AWD offers superior performance and traction in the worst of conditions. The Jaguar XF benefits from a long legacy of craftsmanship and innovative design, all of which has led to this marvel of performance and capability. Whether you’re opting for a newer edition or a pre-owned model, the Jaguar XF remains a paragon of engineering and is sure to satisfy.